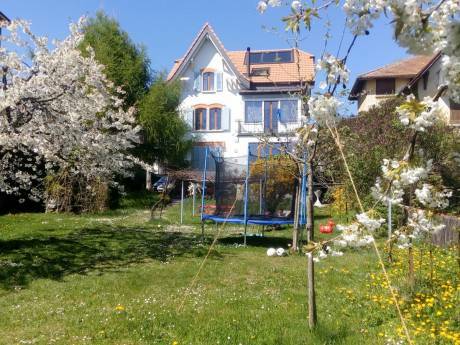 We live in a very quiet area in the suburbs of Lucerne, the little town is called Littau. The house has got a large living room, a kitchen, 2 bureaus (where one also possibly could sleep), one separate room (one sleep), and two rooms with 4 sleeps. We have got a large garden where you can relax or barbecue. If it is getting cold (but maybe not in summer...), you can use the old-style oven in the living room. My name is Christian Faehndrich, I am a 35 years old secondary school teacher. I live in Littau with my wife Janine and our 4 years an d two months old daughters Lisa and Seraphine. We would like to spend 2-3 weeks in summer 2009 somewhere in Italy, France or Spain. Prefferalby near the beach or a house with a swimming pool. 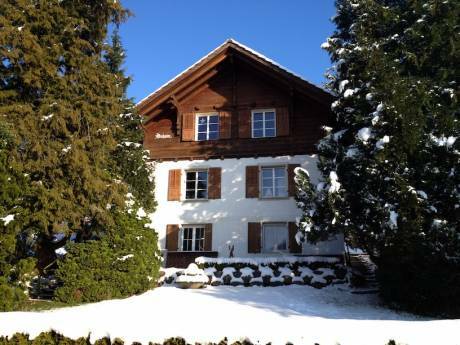 Littau is 10 minutes (car or bus) away from Lucerne. Every 6 minutes, there is a bus directly to the famous and beautiful city Lucerne. 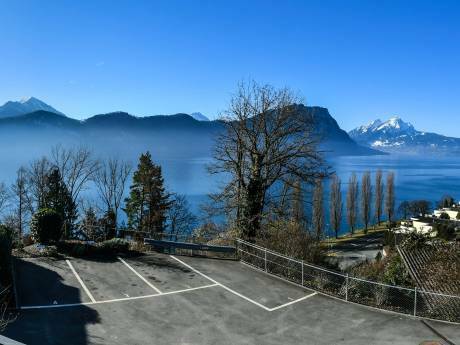 Within 10-30 minutes drive, you reach the Lake Lucerne, Mount Pilatus, Engelberg or whereever you want to go. Lucerne is in the middle of Switzerland, it's one hour to go to Zurich, Berne or Basel. Littau itself has got about 10'000 inhabitants, our area is very calm and clean, with several alone standing houses. Within a two minutes walk, you find everything you need (food, restaurants, post office, etc. )Lucerne during summer time is very attractive for tourists. There will be many concerts and festivals (Blue Balls, Blues or The Lucerne festival, classical music).